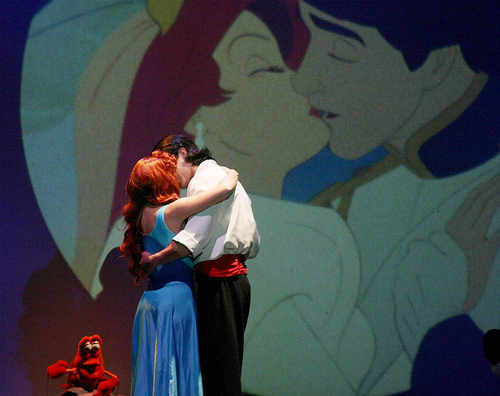 Kiss the girl. . Wallpaper and background images in the Ariel and Eric club tagged: photo. This Ariel and Eric photo contains concert. There might also be pro de tennis, joueur de tennis professionnel, tennis pro, joueur de tennis, and joueuse de tennis.